Good morning ... Axios has a podcast! Dan Primack hosts Pro Rata, a daily download on the collision of tech, business and politics. The first episode will be out later today, so be sure to subscribe wherever you get your podcasts. Axios' Caitlin Owens takes a look this morning at the public option — once deemed too liberal to make it into the Affordable Care Act, now seen as a more moderate option for Democrats who aren't on board with suddenly banning private insurance and moving everyone into a single-payer system. Driving the news: Members of Congress have now introduced at least five bills expanding government involvement in health care. A public option is also coming up frequently on the campaign trail. "I think the much more plausible path to a single payer health care system is through a public option. 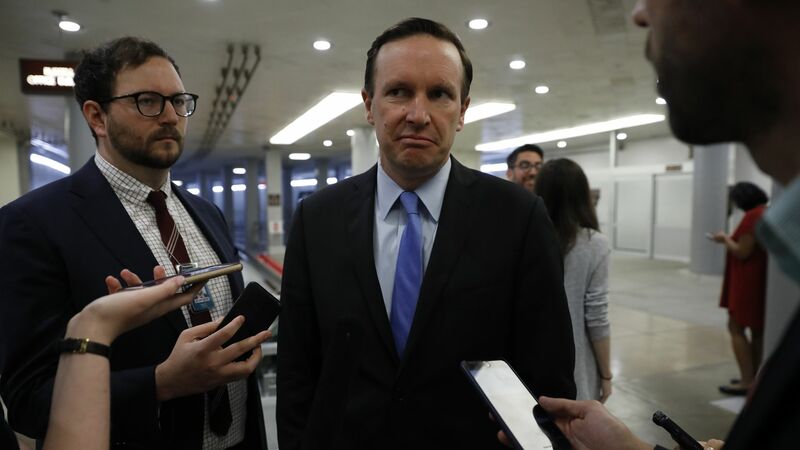 I just don’t know that the country is ready to support a bill that outlaws private insurance," Sen. Chris Murphy said. "The common denominator of all Democrats is that they want more affordable options for people, and how broadly you apply to tool depends on how broadly you define the problem right now," said Chris Jennings, a Democratic health care consultant. Thought bubble, per Bob: Private equity has its hands all over the health care industry these days. But it’s a little surprising to hear such a large price tag for a company that owns mostly rural hospitals, which have struggled with fewer admissions and have relied more on the lower-paying Medicare and Medicaid programs. The New York Times explains the controversy over a newly proposed change in how Medicare pays doctors. How it works: Medicare currently asks doctors to classify their consultations with patients on a scale of 1 to 5, based on complexity. Its payments range from $76 for a Level 2 office visit to $211 for a Level 5 consultation. "The Trump administration proposal would establish a single new rate of about $135," the Times reports. "That could mean gains for doctors who specialize in routine care, but a huge hit for those who deal mainly with complicated patients, such as rheumatologists and oncologists." More people are able to get health insurance through their jobs, per the Wall Street Journal. Senate Democrats want the Senate to defend the ACA in court, the St. Louis Post-Dispatch reports. Silicon Valley is hoping to build new tools to help people with mental illness, STAT reports. What we're watching this week: The House is expected to vote on bills that would repeal the ACA's medical device tax, expand health savings accounts and create a new set of cheaper, more bare-bones insurance options.